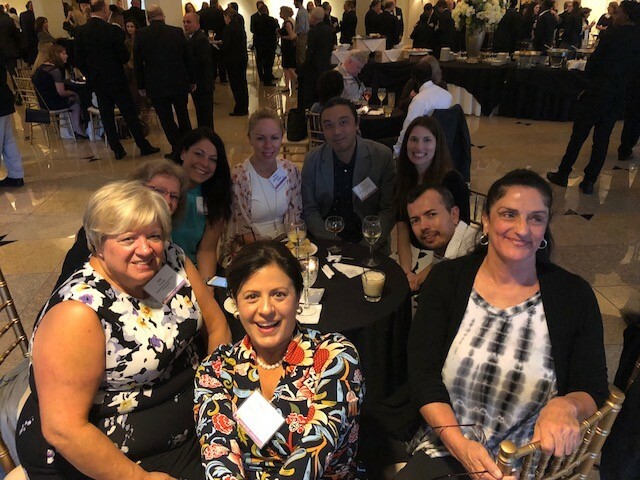 Ridgefield, CT – For the 7th time since 2011, RVNA has received a Top Workplaces award from Hearst Connecticut Media. The award is given to local companies that lead the way in workplace culture based on employee surveys. At RVNA, those employees include clinical staff – such as nurses, rehab therapists, and home health aids – as well as non-medical caregivers and administrative staff. RVNA falls into the mid-sized company category which includes companies with between 100 and 999 employees. RVNA, the Ridgefield Visiting Nurse Association, was recently awarded a Readers Choice Award for “Best In-Home Care” by TownVibe/Ridgefield Magazine. The Readers Choice Awards, introduced this year, reflect the votes of over 800 TownVibe/Ridgefield Magazine readers, who weighed in on categories ranging from food and drink to beauty, shopping, and health. Founded in 1914, RVNA is an accredited non-profit Medicare-certified home healthcare agency that also supports public health and safety, and promotes the highest quality of life. RVNA provides compassionate care to all individuals, whether young or old, through a continuum of care that encompasses health care at home and in the community. RVNA also provides home health aides and companionship through a non-medical subsidiary called HomeCare by RVNA, and provides out-patient physical therapy and other rehabilitation therapies through Rehab by RVNA. Call RVNA at 203-438-5555. Visit RVNA at www.ridgefieldvna.org. Medford, MA – February 22, 2017 – Two venerable non-profit home care agencies serving a combined 52 cities and towns in eastern Massachusetts have announced their intent to merge. The plan to combine Greater Medford VNA, founded in 1900 in Medford, and Visiting Nurse & Community Health, founded in 1898 in Arlington, is currently under review by state regulators. Leaders of the two agencies anticipate that the merger will be approved on or before February 28, 2017. The name of the merged organization will be Greater Medford Visiting Nurse & Community Health. The merged agency will consolidate its operations and administrative staff at 37 Broadway in Arlington and will maintain its presence in Medford by opening a new satellite office there. Bill Connors, president of GMVNA, will serve as Chief Executive Officer of the new entity. The management teams and boards of both organizations will be combined to guide the new organization forward. The merger will create a staff of nearly 200 full-time and part-time employees. Connors went on to list the complementary strengths that brought the two organizations together after almost two years of exploratory discussions. GMVNA has a growing private pay practice and a robust clinical coordination system. VNCH has significant rehabilitation therapy capabilities and an established hospice program, he said. Connors expects an expanding private pay market and greater demand for hospice services to provide most of the combined agency’s growth over the next several years. 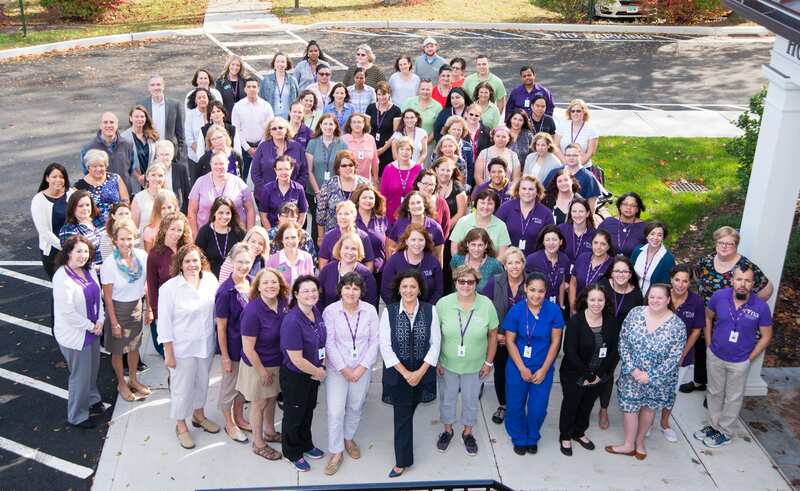 Greater Medford VNA and Visiting Nurse & Community Health share a strong and long-standing reputation for quality homecare services in the 52 eastern Massachusetts communities they serve. The organizations provide skilled nursing, rehabilitation, home health aide, social work, hospice and other specialty services through dedicated, professional staffs. Services are covered under programs sponsored by Medicare and Medicaid, as well as through commercial health insurance and patients’ private resources. Just weeks before stepping down as CEO of Norwell VNA (NVNA) and Hospice, Meg Doherty was honored by the Home Care Alliance of Massachusetts as the 2016 Home Care Champion. The award caps nearly 30 years of dedication to home healthcare, and prompted a standing ovation by home healthcare leaders from across the state and region at last week’s annual meeting. Nominated by the NVNA and Hospice senior leadership team, Meg was cited for her advocacy, commitment, and leadership in home care. Meg turns over the CEO reins of NVNA and Hospice at the end of this month to Renee McInnes. In announcing the change in leadership at the non-profit agency, Tom O’Mara, President of the Board of Directors notes that Meg’s award as Home Care Champion follows decades of honors and accolades accumulated by the CEO. Meg has led the non-profit agency since the mid-1980s when it was a one-room operation in Norwell’s town hall to its present status as a multi-million dollar operation serving over 27 communities on the South Shore. She oversaw the development of a hospice division, private duty company, and the opening of the first non-profit hospice residence on the South Shore as well as the absorption of the only Cancer Support Community chapter in New England to prevent it from closing. Meg’s recognition as a healthcare leader regionally and nationally has been noted through ten consecutive HomeCare Elite awards as well as being named last year as one of the Top 100 Women leaders in business in Massachusetts. well as in other external clinical arenas. Her clinical experience encompasses acute care (Tufts Medical), geriatric care management, home care case management, and several nurse leadership roles. Renee launched the private duty division (NVNA Works) of the agency in 2010, which she directed for two years. Founded in 1920, NVNA and Hospice is the only independent, non-profit home health care and hospice agency serving the South Shore. NVNA and Hospice has been named a Home Care Elite Top Agency in the United States for ten consecutive years; qualifying in the Top100 for the past two. The agency’s mission of Neighbors Helping Neighbors continues as it serves nearly 600 patients a day, and offers an average of 45 free community health screenings, educational programs and support groups each month in more than 27 communities on the South Shore. In addition to its home care and hospice services, NVNA and Hospice owns and operates the Pat Roche Hospice Home of Hingham; NVNA Works, a non-profit private duty homecare division; and Cancer Support Community – MA South Shore, a non-profit providing support, education, and programs for those impacted by cancer. For more information, call NVNA and Hospice at 781-659-2342 or visit www.nvna.org. 5 Star Clinically Integrated Network member Porchlight Home Care Continues to Innovate! Lee, MA- Porchlight VNA/Home Care (Porchlight) will begin serving the Berkshires with its falls prevention program, Move In Time, with the support of a grant from the Central Berkshire Fund of the Berkshire Taconic Community Foundation. The grant in the amount of $6,000 was awarded to engage seniors living in the specific Hilltowns of Western Massachusetts in 2016. The Hilltowns included in the grant are: Becket, Cummington, Dalton, Hinsdale, Peru, Washington, and Windsor. Through a competitive process, Porchlight’s program was chosen as it closely met the guidelines and mission of the Central Berkshire Fund with its focus on health care in the Berkshires. Move In Time was co-created by Porchlight’s Certified Occupational Therapist and Director of Rehabilitation Services, Lynn Proulx. Proulx will lead the six-week course once a week with the same group of seniors participating throughout the entire series. Cumulative learning and activities achieve skills in balance, risk-assessment, and strengthening to prevent falls. Of note, falls have become an increasingly deadly issue for the United States’ aging population and also greatly affect those in the Berkshires. Move In Time will eliminate risk factors for falls and empower seniors to remain independent and lead fulfilling lives. About Porchlight VNA/Home Care With the 2014 merger of Porchlight VNA/Home Care (formerly Lee Regional VNA) with Chicopee VNA and Great to Be Home Care, we have over 100 years of providing compassionate, exceptional care. Porchlight VNA/Home Care is a unique, comprehensive resource for all home health needs, including: skilled nursing, therapies, and 24-hour care. Our offices are located in Lee and Chicopee and our services cover all of Berkshire, Hampshire, and Hampden Counties. As a free-standing non-profit, we also serve as the Board of Health for several towns in Berkshire County and regularly conduct community education and engagement programs to support our mission. We are the only Western Massachusetts agency rated five stars by the Centers for Medicare and Medicaid Services. We received several HomeCare Elite™ Awards of Excellence and Massachusetts Department of Public Health deficiency-free surveys demonstrating our commitment to quality and safety. Porchlight VNA/Home Care is simply “Life As You Know It ® “. About Berkshire Taconic Community Foundation For over 27 years, Berkshire Taconic Community Foundation has built stronger communities and helped donors make a difference through charitable giving in northwest Litchfield County, CT; Berkshire County, MA; and Columbia County and northeast Dutchess County, NY. Each year, the foundation distributes over $8 million through grants and scholarships to nonprofits and individuals in the arts and education, health and human services and environmental protection. Berkshire Taconic is a 501(c)(3) nonprofit public charity. You can make a difference. We can help. VNANE’s Clinically Integrated Network endorses Blue Cross Blue Shield of Massachusetts direction on end of life and hospice care at home. Our network encourages all payers to consider and providers to advocate for these type of changes giving patients better choices while lowering cost. We highly commend Blue Cross Blue Shield of Massachusetts and will work towards similar arrangements in our contract negotiations moving forward. Please see Boston Globe article and feel free to share. Nov. 2015: The Clinically Integrated Network of Visiting Nurse Associations of New England proudly recognizes its 13 members earning Home Care Elite Awards. OCS Home Care by National Research Corporation and DecisionHealth research an annual listing of the top 25% of home health agencies based on performance measures. In Connecticut, Bethel VNA in Bethel, Foothills Home Care and Hospice in Winsted, New Milford VNA in Milford(top 500), Stratford VNA in Stratford(top 500), VNA Community Healthcare of Guilford and VNA Northwest of Bantam all earned recognition. Massachusetts is represented by Community VNA of Attleboro, Community Nurse and Hospice of Fairhaven, Natick VNA of Natick, Norwell VNA and Hospice of Norwell(top 100), Porchlight VNA of Lee, VNA of So. Worcester County of Webster and Walpole Area VNA of Walpole all achieving through quality outcomes. Having over 75% of membership earning Home Care Elite status, VNANE’s Clinically Integrated Network continues raising the bar for home care quality. VNANE’s Clinically Integrated Network is comprised of community based not for profit home health agencies throughout Connecticut and Massachusetts. As a network of providers, VNANE’s Clinically Integrated Network provides solutions for health care payers and providers through their expertise and outcome excellence. Our membership mission: “To enable patients to experience the highest quality health care at the least cost possible in their homes.” For additional information on VNANE’s Clinically Integrated Network, contact, Kyle Moseley, VP, Business Development of VNANE at kmoseley@vnane.org. Towns served will include: Blandford, Chester, Easthampton, Granville, Huntington, Middlefield, Montgomery, Russell, Southampton, Southwick, Tolland, and Westfield. Several of these towns are considered Hilltowns of Western Massachusetts, which are often difficult to outreach or provide other services. The partnership represents a desire to address the needs of vulnerable elders in these communities and allow them access to home care services to remain independent at home. Services provided by Porchlight will include homemaking and personal care provided by licensed and/or non-licensed caregivers as appropriate. Porchlight is committed to excellence as an organization and will address the needs of clients in their visual or hearing, cultural and linguistic, memory impairment, and/or mental health needs. Porchlight caregivers are offered professional development to meet the demands of their positions, including Habilitative Training recommended by the Alzheimer’s Association. About Porchlight VNA/Home Care With the 2014 merger of Porchlight VNA/Home Care (formerly Lee Regional VNA) with Chicopee VNA and Great to Be Home Care, we have over 100 years of providing compassionate, exceptional care. Porchlight is a unique, comprehensive resource for all home health needs, including: skilled nursing, therapies, 24-hour care, and social work. Our offices are located in Lee and Chicopee and our services cover all of Berkshire, Hampshire, and Hampden Counties. As a free-standing non-profit, we also serve as the Board of Health for several towns in Berkshire County and regularly conduct community education and engagement programs to support our mission. We are the only Western Massachusetts agency rated five stars by the Centers for Medicare and Medicaid Services. We received several HomeCare Elite™ Awards of Excellence and Massachusetts Department of Public Health deficiency-free surveys demonstrating our commitment to quality and safety. Porchlight VNA/Home Care is simply, “Life As You Know It ®”. About Highland Valley Elder Services Highland Valley Elder Services serves older adults and their families through collaboration, education, advocacy and a range of programs designed to support them where they live. The agency is a private, not-for-profit corporation serving twenty-four communities in Hampshire and Hampden Counties of Western Massachusetts. Funds for the agency are received from the following main sources: Administration on Aging, through its designation as an Area Agency on Aging and Home Care Corporation/Aging Services Access Point, and Massachusetts Executive Office of Elder Affairs. Highland Valley aims to provide the best services, which empower elders to discover their own strengths, talents, and solutions. Oct. 2015- In order to meet the demand of value based healthcare reimbursement, three organizations have agreed on an alliance working together on enhanced home infusion services that keep patients at home and facilitate expedited transitions to home care. Visiting Nurse Associations of New England’s (VNANE) Clinically Integrated Network, IV Associates of Chicopee, MA and Option Care Enterprises, Inc., the country’s premier home infusion company with offices throughout New England and across the nation, proudly announce their new relationship. Uniquely positioned to provide increased cost savings and produce better clinical outcomes, all three organizations are excited to better service this underserved need in home care. IV-Associates is an infusion services company that provides intravenous access and educational services to patients throughout New England. As a premier provider, IV-Associates administers state of the art care to patients in various locations such as home care, long term care and other post -acute care settings. Please visit our website at www.iv-associates.com. Option Care Enterprises, Inc., formerly Walgreens Infusion Services, Inc., offers clinical care provided by specially trained infusion nurses and pharmacists who treat patients with a wide range of acute, chronic and rare conditions. As one of the nation’s largest providers of home and alternate treatment site infusion services, Option Care has 92 infusion pharmacies and 110 alternate treatment sites across the country. Learn more at www.OptionCare.com . August 2015- Since creation and implementation of disease specific pathways in Nov. 2014, Visiting Nurse Associations of New England’s (VNANE) Clinically Integrated Network customers have enjoyed impressive improvement on VNANE’s already leading outcomes. With a Q2 showing under 10% at 9.6%, the re-hospitalization rate continues to well surpass Connecticut and Massachusetts State averages. The second quarter’s improvement follows quarter one’s which was a result of the Network’s implementation of the disease specific standards of care.